Fundraiser for Maria Capotosto by Deirdre Jones : Maria's battle fund! "With faith, love and determination, cancer doesn’t stands a chance!" I have stood many times with my sister, sometimes she supported me, sometimes we stood shoulder to shoulder and now I stand as her support base. This time its a fight for her life, against the worst emeny of all, cancer. Maria has been battling breast cancer since 2011. She was diagnosed with triple negative breast cancer. She endured a 9 hour surgery for breast reconstruction. In 2013 a tumor was discovered in her brain and once again Maria was in the hospital for another surgery. 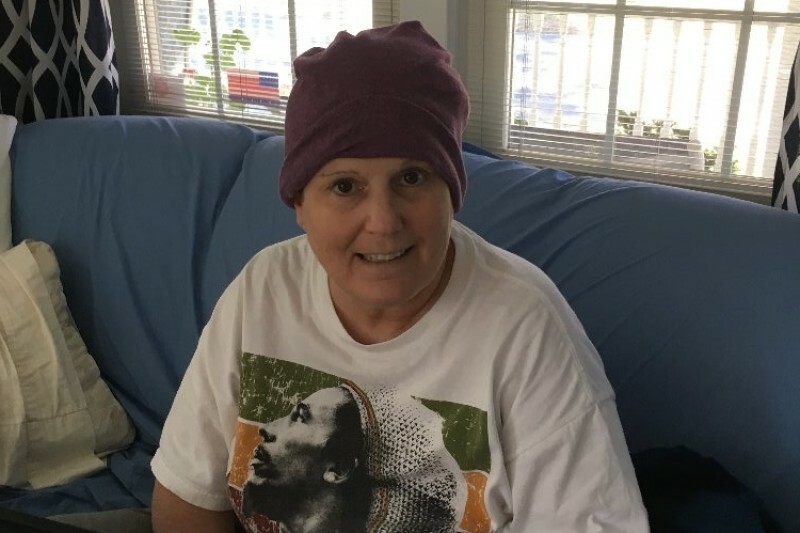 After 19 months of being cancer free, 2 more tumors developed in her brain. Because of the location on the brain - radiation treatment was prescribed instead of surgery. We recently found out that the tumors did not respond to the radiation and she will now go for her 3rd surgery. The surgery will be aggressive and there will be a good chance that she will be speech impaired and not be able to return to work for some time. Maria is very independent and lives alone. My sister has devoted her life to teaching kindergarden for more than 3 decades. Teaching is her passion. Even with her own personal crisis, going through chemotherapy & radiation treatments, my sister always had her students on her mind. She kept in constant contact and stayed updated with their progress during her recovery. As she anticipates her 3rd surgery in March, Maria has depleted her stock of sick days. After the 20 sick days that she has accrued, unfortunately she will not be paid and will endure financial hardship. I am asking you to give a donation to help relieve her financial burden. This will allow Maria to put her strength and energy into healing. In a perfect world this will allow her to get back to her passion of teaching. I wanted to let you know Maria is home, doing much better. She still has a ways to go before regaining her independence and a normal routine. While we continue to pray for a speedy recovery and ask that you do the same. I wanted to thank you all for the prayers , encouragement, donations and visits. We are looking forward to a bright future and pray that each of you be well. Don't take any moments for granted. Needed to update you all and ask for prayers. Maria had emergency surgery last nite due to complications. We are optimistic that she is on the mend once again, not sure how long she will be in hospital. As everyone prepares to celebrate Thanksgiving with your friends and family, I ask that you all remember Maria and send positive thoughts her way. As always we are most appreciative for your generosity and kindness. Wishing you all a happy Thanksgiving, remember to count your blessings. I wanted to take a few moments to give you an update on Maria's battle with cancer. Sadly, the surgery back in March was not as successful as we had hoped. Subsequently, Maria has endured several surgeries since with additional surgeries pending. Due to unforeseen complications Maria is unable to return to her passion of teaching and the students that she misses dearly. Maria's goal is to get back to what she does best, which is TEACH! Unfortunately, Maria has exhausted the funds that were generously donated as well as savings/ retirement funds. I come to you once again to ask for your help both through prayer and support to help relieve the financial burden. Also if you could share this message with your family, friends and colleagues in support of Maria's battle against cancer and the complications it brings. Good news everyone, Maria finally came home today! She had a rough go of it in the hospital and still has a very long way to go to be healed. We ask as a family that you continue to pray for her speedy and continued improvement. If your not the praying sort then we ask for positive energy and well wishes. We are so very concerned at this point. Continue to know your Bay Shore family is here and prayers are wrapping you in the white light of healing. We all pray that strength and healing may come this holiday to bring you joy. Miracles really happen and we at Bay Shore are sending them your way. Stay strong, Happy Holidays. Stay strong Maria. My thoughts and prayers are with you. Sending thoughts, prayers, and healing energy to you, Maria!